This well-known method is used world-wide by teachers, though originally designed for self-instruction. 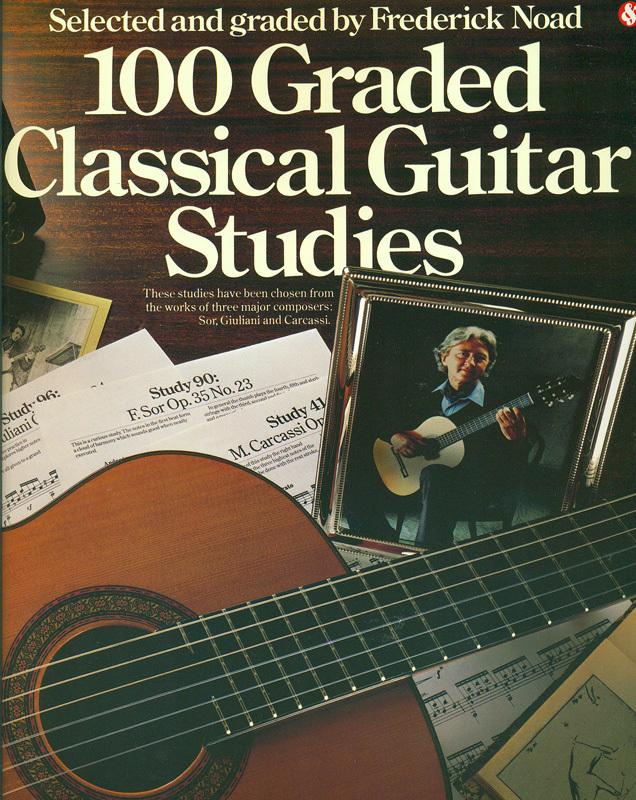 With sufficient material for at least two years of study, book 1 has 254 pages of music and text, which includes 150 exercises , most with an optional teacher accompaniment, for technique and step-by-step learning of the fingerboard. 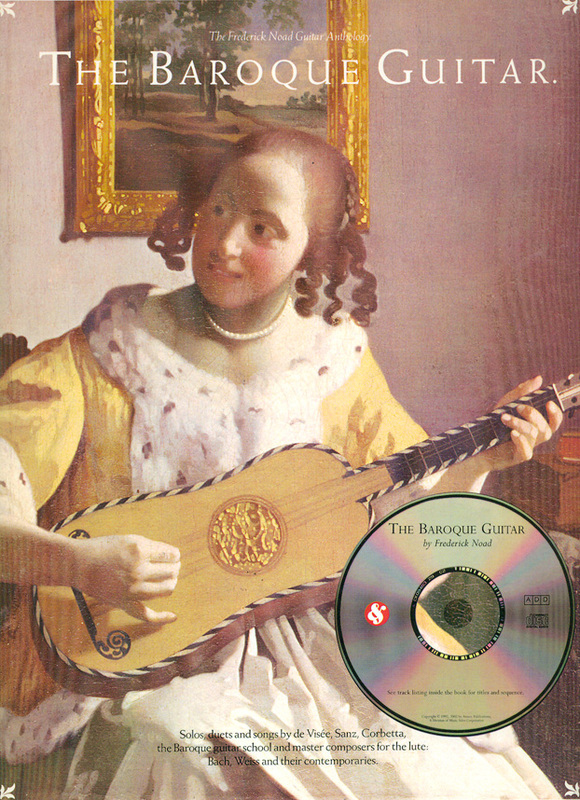 A basic solo repertoire from the works of Dowland, Bach, Sor, Aguado, Tarrega etc. is included, and there are duets and trios suitable for class ensemble. 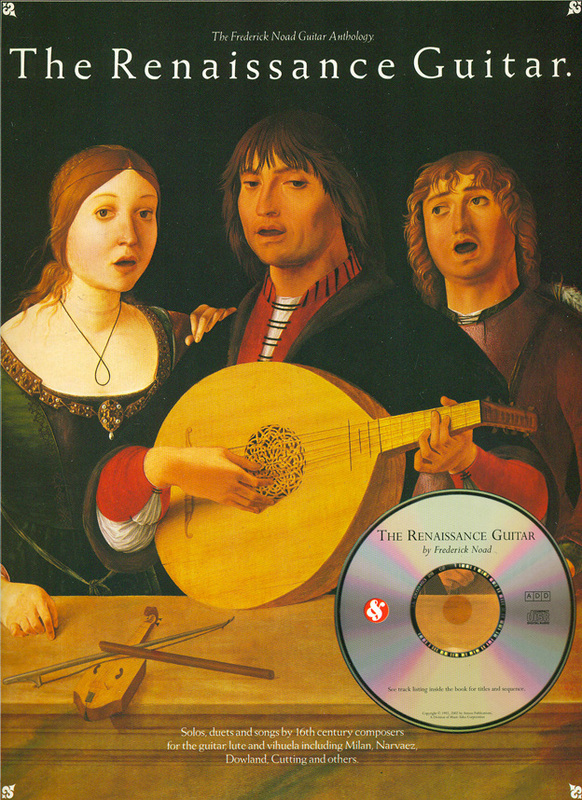 Volume II continues logically on into more advanced techniques and interpretation with musical examples from the late Renaissance to the present century. 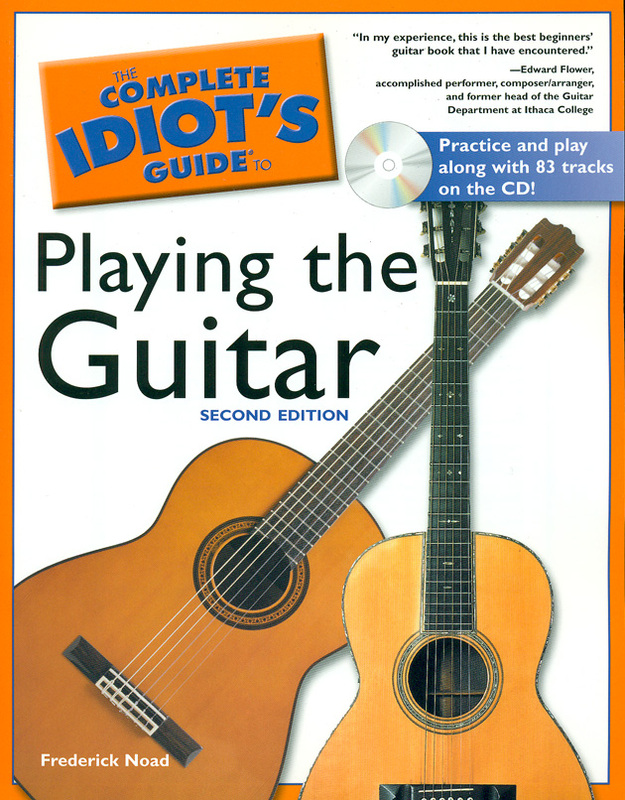 There is also a wealth of exercises and easier repertoire for learning the higher positions of the guitar. The musical style of the various periods is discussed, together with the correct interpretation of trills etc. This book includes a large repertoire of performable pieces including Tarrega's famous tremolo study "Recuerdos de la Alhambra", also his "Estudio Brillante". An extremely thorough beginning method, First Book is the best choice for young beginners. It is available as an omnibus edition which contains three parts. Part One deals with the notes of the first position, and music reading and counting up to the eighth note. Part Two covers new keys and scales, the technique of slurs, and simple and compound time signatures. Part Three explores dotted notes and more advanced counting, syncopation, dynamics and tone production. Each part contains a repertoire of attractive solos and duets drawn from the guitar composers, together with arrangements of Spanish and other folk themes. Frederick Noad has selected one hundred studies from the work of three outstanding composers of the classical period: Fernando Sor, Mauro Giuliani and Matteo Carcassi. 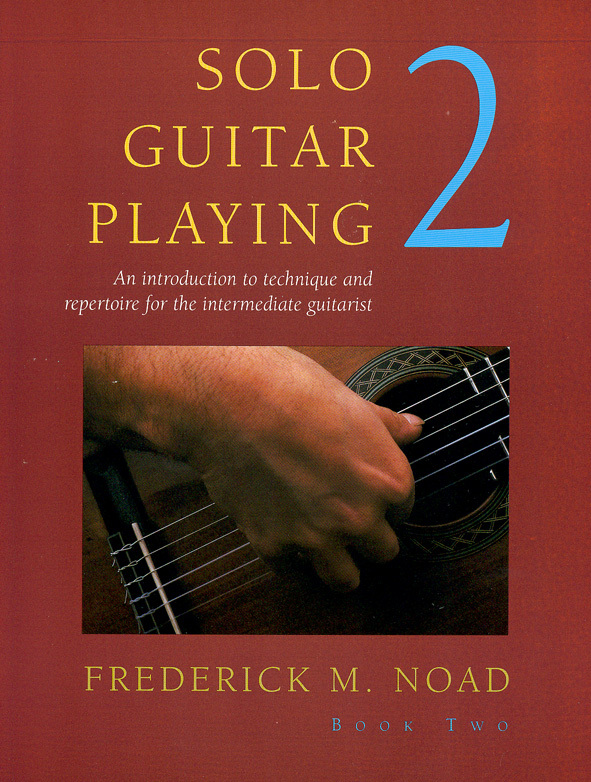 All these studies are invaluable to the guitarist for developing both right and left hand skills. At the same time their musical content makes them a constant pleasure to play and hear. The studies have been carefully graded and annotated to cover from the first stages of study to the levels of advanced technique. All of the famous Carcassi 25 Melodious Studies, Op.60, are included with study notes. 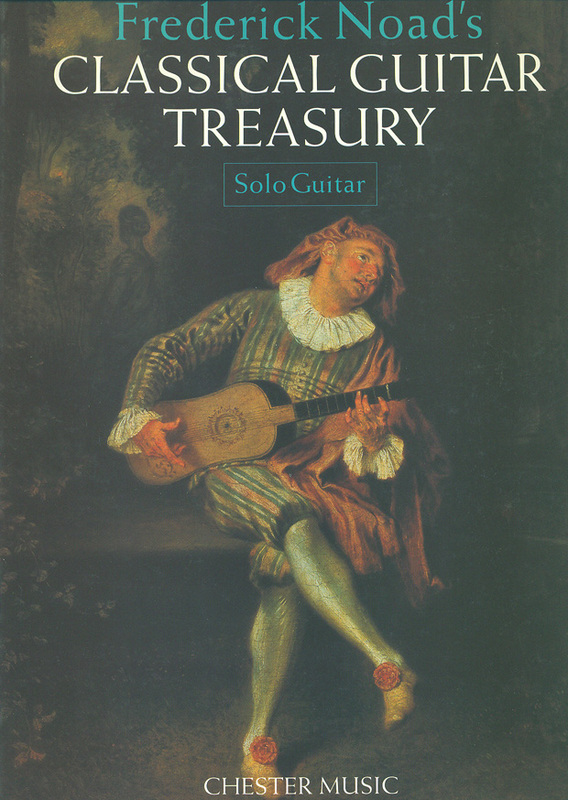 This anthology of solos, duets and songs for the guitar and lute family, from the first printed works of Luis Milan in 1536 to the culmination of the Romantic era, gives an historical and musical insight into each important period, and increases the basic repertory for teachers and amateurs. Taken from original sources the transcriptions are as faithful as possible to the original while at the same time offering a practical performing score. The pieces are graded in difficulty including pieces for beginners as well as others suitable for the concert stage. Each piece has Frederick Noad's characteristic study notes. Illustrated with pictures of the period. 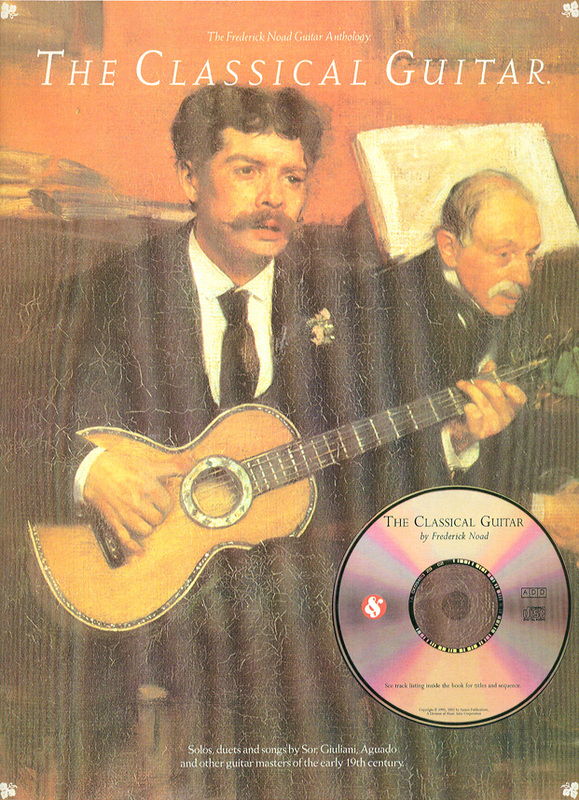 Works by Fernando Sor, Mauro Giuliani,Dionisio Aguado, Matteo Carcassi, Ferdinando Carulli, Giulio Regondi, Franz Schubert and others. Works by Robert de Visee, Lodovico Roncalli, Sylvius Leopold Weiss, Gaspar Sanz, J.S.Bach, G.F.Handel, Domenico Scarlatti and others. Works by Napoleon Coste, Julian Arcas, Jose Broca, Jose Ferrer, J.K.Merz, Robert Schumann, Francisco Tarrega and others. 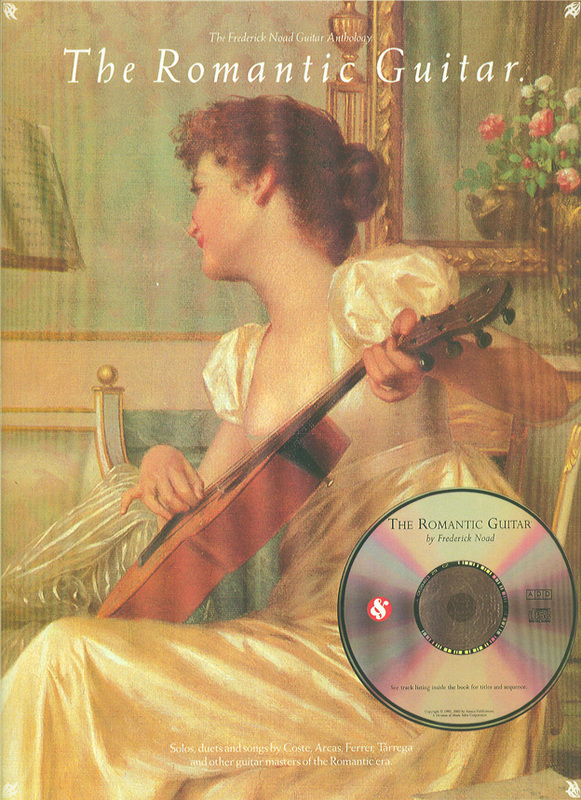 Works by John Dowland, Francesco da Milano, Luis Milan, Robert Johnson, Anthony Holborne, Jean Baptiste Besard, Luis de Narvaez, Elias Mertel and others. This book comprises Choros - No.1, Suite Populaire Bresilienne, Twelve Studies and Five Preludes. This book is available for world-wide distribution. 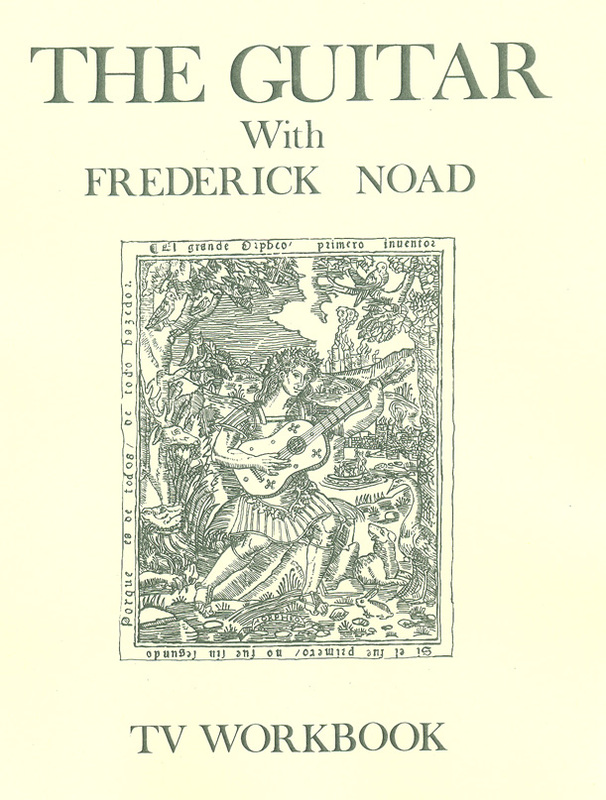 The arrangements and transcriptions collected in this volume comprise a number of works previously published in the Noad guitar library series, together with some newly transcribed editions. In terms of period the pieces span from the renaissance to the end of the classical period. CONTAINS: John Blow, Matteo Carcassi, John Dowland, Mauro Giuliani, J.B. Hagen, George Frederic Handel, Fernando Sor, Robert De Visee. 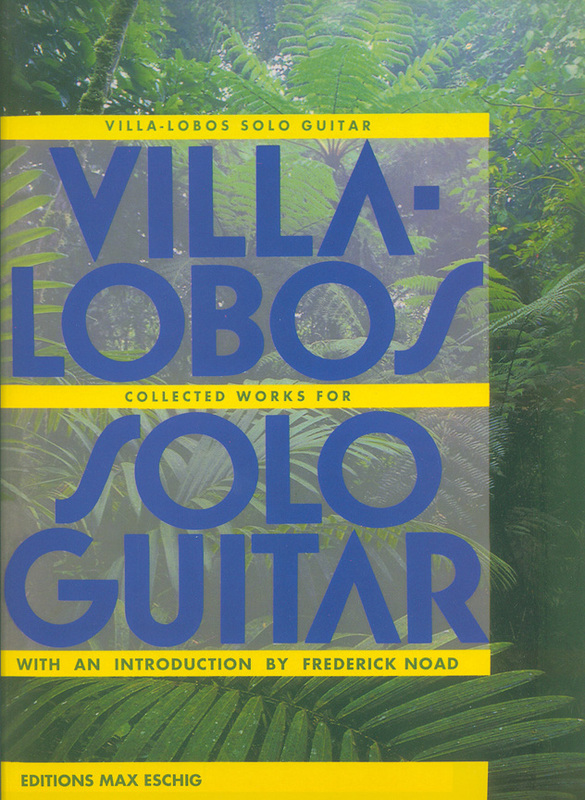 The arrangements and transcriptions collected in this volume comprise a number of works previously published in the Noad guitar library series. 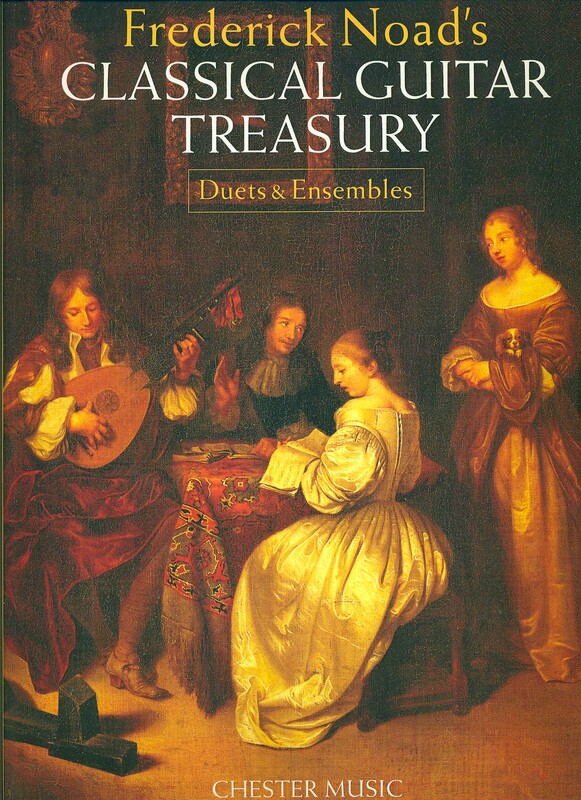 Some, such as the duets by Dowland, are well-known and deserve wider recognition. Their striking charm was first brought to public attention on the wonderful recordings of the duet team of Ida Presti and Alexandre Lagoya. CONTAINS: John Dowland, George Frederick Handel, J.B. Marella, Fernando Sor, Ferdinando Carulli, Mauro Giuliani & Michael Praetorius. Tips and tricks to get you playing your own tunes in no time. Easy-to-follow steps for learning to read music. 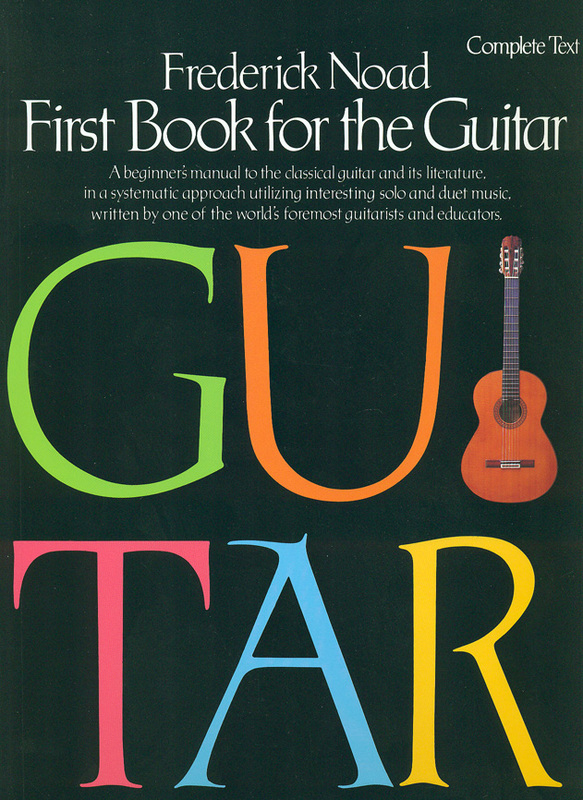 "In my experience, this is the best beginners' guitar book that I have encountered." 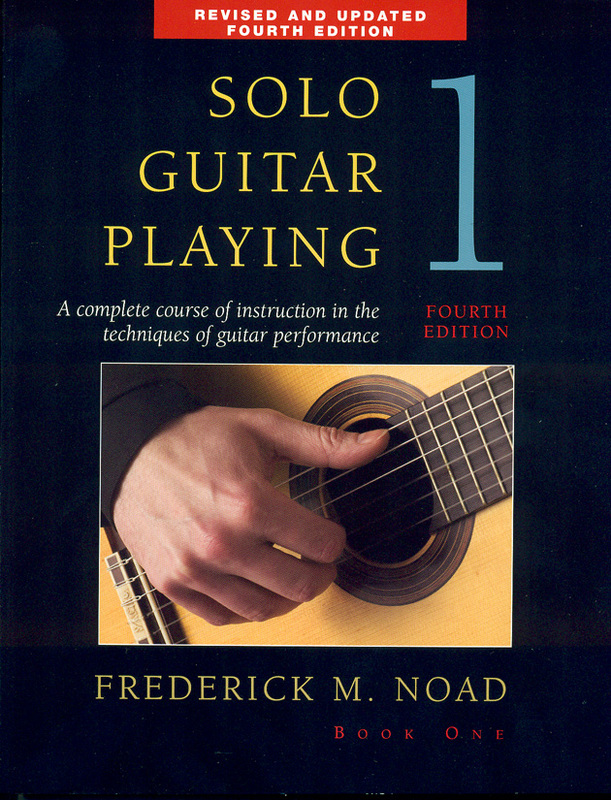 This is the workbook from Fred Noad's TV Series "Guitar for Beginners". This is the complete workbook covering all 24 lessons.